In this work Outterbridge created a doll of disproportionate scale carrying a water bowl on her head. It is part of a larger series of works that address the struggles of slavery and the beauty of the Africans that it impacted. 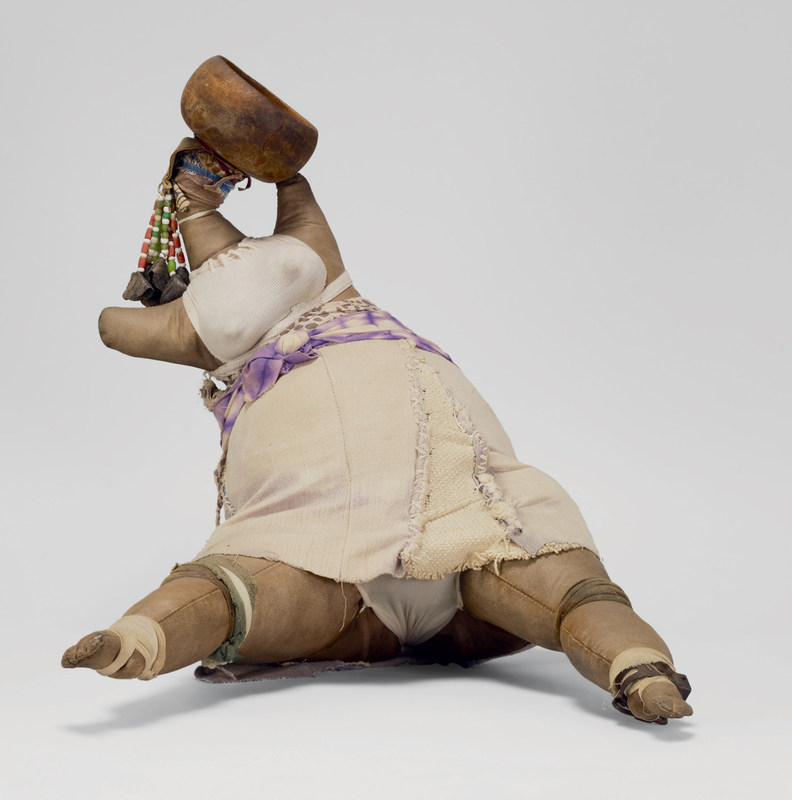 The figure's legs are reminiscent of the asafetida sacks that the artist's grandmother used to give him to wear around his neck, recalling hoodoo practices. Asafetida sacks contain the sap from the roots of various plants and herbs and are used to prevent or cure many ailments. "Untitled." Now Dig This! Art in Black Los Angeles, 1960–1980 Digital Archive. Los Angeles: Hammer Museum, 2016. https://hammer.ucla.edu/now-dig-this/art/untitled-outterbridge.